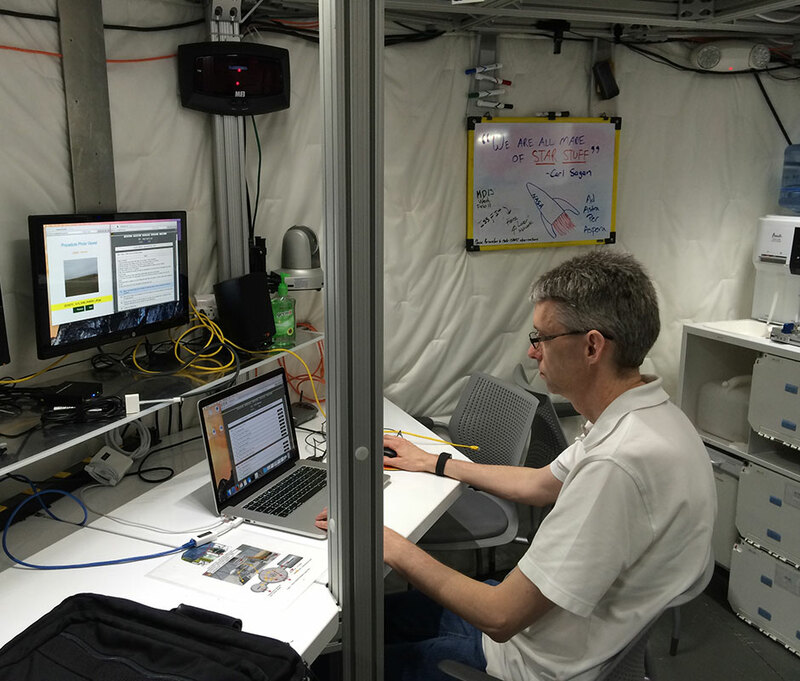 TRACLabs has used PRIDE electronic procedure software to automate NASA habitats and studied the effects of procedure automation on human performance. The Habitat Automation project uses PRIDE procedures developed for humans to automate habitat systems. PRIDE uses a single procedure for execution of actions by astronauts and by machine automation. Thus all automated actions on habitat systems are displayed as human-comprehensible procedures, making these actions more transparent and predictable to users. Level of system autonomy is changed by designating actions for manual or automated execution. This project completed a study of habitat automation in NASA’s Human Exploration Research Analog (HERA) Campaign 2. HERA Campaign 2 consisted of four two-week missions conducted over eight months. Each mission simulated workdays from a round trip mission to a near-Earth asteroid. A 4-member crew lived and worked in the HERA habitat. Crewmembers used the PRIDE procedure automation software to control simulated habitat systems for carbon dioxide removal, thermal control, and power distribution (see figure). Results suggest that using partial automation of a procedure can improve work efficiency over manual execution of the same procedure, by freeing up user time to do other tasks concurrently with procedure automation. While error rates were low when using PRIDE both manually and with automation, reduced error rates were observed with automation over manual only. This project was performed with our collaborators at San Jose State University. It was funded by the National Space Biomedical Research Institute (NSBRI). Billman, D., D Schreckenghost, and S. Billinghurst. Problem Solving when Procedure Conditions Are Not Met: Using Procedure-Automation Software for Support. The Annual Meeting of the Human Factors and Ergonomics Society (HFES). Chicago, IL. October 2015. Schreckenghost, D., D. Billman, and T. Milam. Human performance with procedure automation to manage spacecraft systems. Proceedings of IEEE Aerospace 2014. Big Sky, MT. March 1-8, 2014. Billman, D., D. Schreckenghost, and M. Pardis. Assessment of Alternative Interfaces for Manual Commanding of Spacecraft Systems: Compatibility with Flexible Allocation Policies. Human Factors and Ergonomics Society Annual Meeting, Chicago. October 27-31, 2014.